The court trial in the case of the “anarchist terrorist community” Network got underway in St. Petersburg. Viktor Filinkov, a 24-year-old programmer, and Yuli Boyarshinov, a 27-year-old industrial climber, have been charged with involvement in Network. Federation Council member Lyudmila Narusova, who attended the hearing, pointed out the “ability to throw grenades,” which the prosecution included in the evidence against the defendants, was taught officially to members of the patriotic youth movement Yunarmiya. “This case has nothing to do with the rule of law,” Narusova noted. Filinkov and Boyarshinov’s case is being tried in St. Petersburg by the Moscow District Military Court. In January, the same court sentenced Igor Shishkin, who made a deal with case investigators, to three and a half years in prison. Subsequently, the FSB placed Network on the Russian federal list of banned organizations. The courtroom could not accommodate everyone who wanted to attended the trial. Narusova and ex-State Duma member and civil rights activist Yuli Rybakov were in the gallery. The defendants were applauded by the gallery as armed guards led them into the courtroom. During the investigation, Filinkov and three young men in Penza also charged in the case publicly stated they had been tortured with electrical shocks. Boyarshinov claimed conditions in the remand prison were tantamount to torture. Both men have filed complaints with the European Court of Human Rights (ECHR) in Strasbourg. Lawyer Vitaly Cherkasov motioned the court to let his defendant, Filinkov, sit beside him during the hearing, rather than in the cage, since he had no criminal record or history of conflicts with the law. The presence in the courtroom of riot police, regular police, and court bailiffs, as well as Cherkasov’s mention of international norms, how things were done at the EHCR, and Prime Minister Dmitry Medvedev’s order to his underlings to explore options for banning the use of the cage in Russian courtrooms made no impression on the court. Both defendants were kept in the cage for the entire hearing. After the indictment had been read, Judge Roman Muranov asked the defendants whether they understood it. “I don’t understand the source of these letters, nor how the indictment could be a fiction, rather than something emerging from the evidence,” said Filinkov. After hearing similar charges made against him, Boyarshinkov said he admitted his guilt and was willing to testify before the examination of evidence. After the hearing, MP Narusova said the incidents of combat training, as described in the indictment, had nothing to do with the law. “The Yunarmiya officially engages in combat training under the patronage of Defense Minister Sergei Shoigu. Children are taught to throw grenades, and they learn combat tactics. Ask Shoigu why the entire Yunarmiya is busy learning combat skills?” Narusova wondered. “A fellow Federation Council member recently said children should be able to throw grenades,” Narusova continued. She referred to a recent statement by Federation Council member Viktor Bondarev, who had proposed reinstating basic combat training in Russian schools. He claimed to be outraged children did not know how to throw grenades and were afraid of machine guns. Ms. Narusova said she was drafting a law bill that would criminalize torture. She also said planned to get to the bottom of the Network case. In their testimony, the defendants insisted they were learning the alleged skills as a matter of self-defense, given the numbers of antifascists murdered in different parts of Russia in recent years. In particular, Filinkov mentioned the murders of Timur Kacharava, Stanislav Markelov, and Anastasia Baburova. He reported that, during his studies at Omsk University, he and his friends had been attacked by “right-wing radicals, neo-Nazis, and fascists,” including provocateurs who, he alleged, had ties with law enforcement agencies. After the investigation was completed, the headmaster of the school Filinkov attended submitted a glowing letter of recommendation. The letter claims the defendant had always shown respect for the law, and was friendly, conscientious, and responsible. He had been an excellent student and won a prize at an academic astronomy competition at Baikonur. Kommersant will be following the trial’s progress. Alexander Bastrykin, head of the Russian Investigative Committee, explained the low percentage of acquittals in cases handles by his agency’s officers as the outcome of their consistent, high-quality work, reports TASS. “In 2018, 516 people were acquitted out of the thousands of criminal cases submitted to the courts [by the Investigative Committee.] This amounts to .51% of the number of cases investigated. In 2017, [the Investigative Committee] submitted 128,000 criminal cases to the courts. There were acquittals in 534 of them, which amounts to .42%,” Bastrykin said at a staff meeting to discuss the Investigative Committee’s work over the past year. [Bastrykin] added that, in the European countries, every fifth verdict was an acquittal. “The figures in Europe are stable: a 20% acquittal rate. And they’re proud of those results,” Bastrykin noted. Viktor Momotov, head of the Russian Federal Council of Judges, has said criminal punishments for “holding the justice system in contempt” should be introduced in Russia. He meant instances when public opinion was manipulated or the judiciary’s authority was belittled in order to exert pressure on courts. “Obviously, there is a need to submit to public discussion the issue of criminal penalties for holding the justice system in contempt. We are ready to join this discussion, including in connection with the legislation, currently under consideration, that would criminalize contempt for government institutions,” Momotov said, according to Interfax. Mamotov recalled that, in the Anglo-Saxon legal system, contempt of court [skandalizatsiya pravosudiya] referred to any action or published information meant to belittle a judge’s authority or affect his decision. A striking example of this would be “indiscriminate and baseless criticism that undermined public confidence in the administration of justice,” Mamotov said. In Europe, people who commit such violations are fined and even face prison terms. Golovina District Court Judge Sergei Bazarov has remanded Azat Miftakhov in custody for a month, until March 7, at the request of police investigators. The police suspect Miftakhov of involvement in a January 13, 2018, incident in which a window in the Khovrino office of the United Russia party was broken and a smoke bomb was thrown inside. The only evidence in the case is the testimony of a secret “witness” who emerged three days ago. Allegedly, the witness was near the United Russia office the night of the incident. He saw six young people. Three of the young people smashed the window and threw a smoke bomb in it, while the other three stood off to the side. The so-called witness supposedly recalled Miftakhov as being among the group who stood and watched, yet he was unable to describe neither what Miftakhov was wearing or his facial features, only his “expressive eyebrows.” The witness, however, did not contact the police for an entire year since, he explained, his phone had gone dead at the time and, subsequently, he had been busy with his own affairs. Miftakhov was detained by law enforcement officers on the morning of February 1 on suspicion of making explosives, a criminal offense as defined by Article 223 Part 1 of the Russian Federal Criminal Code. He was held for twenty-four hours at the Balashikha police station, where law enforcement officers tortured him, demanding he make a full confession. Only on the evening of February 2 was Miftakhov officially detained and sent to the Balashikha Temporary Detention Facility. On February 4, however, a court refused to remand him in custody due to a lack of evidence. Over the next three days, police investigators were unable to muster any evidence against Miftakhov, and so, on February 6, he was released from the temporary detention facility without charge. As Miftakhov was leaving the detention facility, he was detained by men in plain clothes and taken to the Interior Ministry’s headquarters for Moscow’s Northern Administrative Division, where he was told he had been detained in another case, an investigation of alleged disorderly conduct outside the United Russia office in Khovrino on January 13, 2018. An investigation into vandalism (Criminal Code Article 214 Part 1) had been opened in January 2018, but Russian law does not stipulate remanding vandalism suspects in custody during investigations. In an amazing coincidence, just as Miftakhov was detained a second time, the case was reclassified as an investigation of disorderly conduct, as defined by Criminal Code Article 213 Part 2. People suspected of disorderly conduct can be remanded in custody, and Miftakhov suddenly had become the main suspect in the case. On February 10, the Golovina District Court in Moscow refused to remand Miftakhov in custody, postponing the hearing until February 12. Miftakhov denies the charges against him. He believes he has been framed because of his anarchist views. 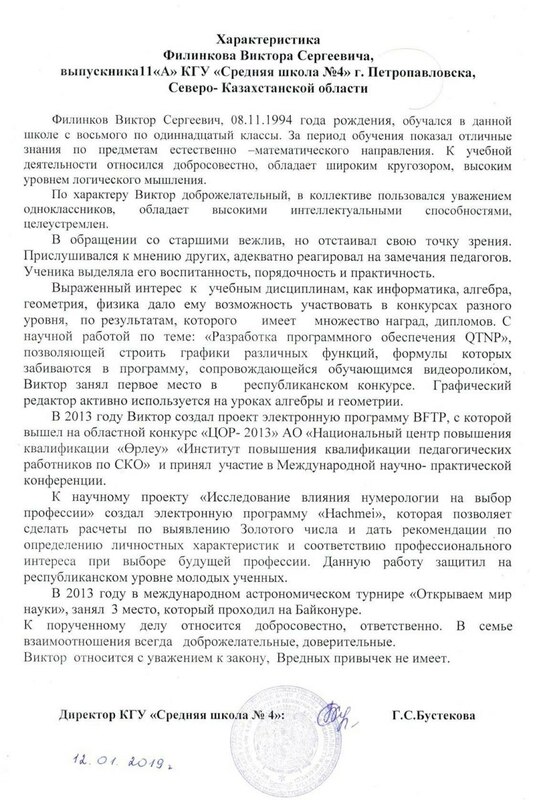 Over a thousand lecturers, professors, researchers, and students from leading Russian and international universities have signed a petition in Miftakhov’s defense, include MIT linguistics professor Noam Chomsky and Viktor Vasilyev, president of the Moscow Mathematics Society. Mikhail Finkelberg, professor at the Higher School of Economics and Skoltech, Boris Kravchenko, president of the Confederation of Labor of Russia (KTR) and member of the Russian Presidential Human Rights Council, and Russian MP Oleg Shein have agreed to stand surety for Miftakhov. Translation and photo by the Russian Reader. Please read my earlier posts on the Khovrino vandalism case and the Russian police state’s senseless, relentless persecution of Azat Miftakhov. Viktor and Yuli, 12:00 p.m. and 2:00 p.m., January 17, Room 33, Petersburg City Court. I have been getting into the “New Year’s mood” only now. What I mean is that is only now I have realized it will soon be a year since news a friend had been detained by the cops marked the start of a new life that has been going on in my head nonstop since then: care packages, remand prison, torture, parcels, remand prison, transfers, letters, remand prison, court hearings, remand prison. I have been corresponding with nearly all the suspects in the so-called Network case. I have no idea how they manage to keep fighting, making jokes, and drawing goofy pictures. The main question I tried out on myself during the past year was how you can endure having to support a loved one who is in jail by yourself or even as a part of a single family. To put it bluntly, how do you make sure he has food to eat, clothes to wear, books to read, and medical care? My opinion is that you cannot do it, no way, no how. There are a lot more than one of us trying to take care of the Network suspects, but there are so many things to do, an endless list of daily chores. I am amazed my job still puts up with it. The approach of this “new year” makes me really sad. Actually, this has been my attempt to write a post about the upcoming custody extension hearings of Viktor Filinkov and Yuli Boyarshinov. Since a “new year” in remand prison is just around the corner for them, the Petersburg City Court will decide whether extend their police custody. There is a glass-enclosed statue of Themis at the city court. There is also a chance we won’t be herded into the basement, as happened during their last hearing at the Dzerzhinsky District Court. Maybe we will even be permitted to wave at the guys as they are marched past us by the guards and bailiffs. Anyone who has the time and energy should come to the hearings. It would be great if there were tons of us there, so the guys could see us and have cause to rejoice. It would also be great if we were admitted into the courtroom before the hearing was once again declared closed to the public. Such are the paltry and huge hopes you foster. Viktor, Yuli and us, 12:00 p.m. and 2:00 p.m., January 17, Room 33, Petersburg City Court. In the evening, an exhibition dealing with both the Network case, and Baburova and Markelov opens at seven o’clock at Open Space. It will feature prison drawings and poems, pieces by artists who are in solidarity with the Network suspects, and a group reading of antifascist texts, as well as of letters sent by the guys from remand prison. You should come to that, too. My thanks to Ms. Kulakova for her permission to translate and publish this text here. St. Petersburg City Court extended the police custody of Viktor Filinkov, accused of involvement in the so-called terrorist community known as the Network, reports the Petersburg Judicial Press Service. During the hearing, the case investigator argued Filinkov’s police custody should be extended because he needed to review the final eight volumes of the seventeen-volume case file. Besides, the investigator noted, Filinkov had refused to give testimony in the case and admit his guilt. Filinkov’s defense attorney asked the judge to put him under house arrest, but, allegedly, had failed to file papers confirming this would be possible. The defense attorney also told the that his client was a law-abiding national of another country [Kazakhstan] who would be willing to give testimony, but not to investigators who had tortured him. Later the same day, St. Petersburg City Court extended the police custody of another suspect in the Penza Case, Yuli Boyarshinov, for two months. Earlier in the week, a court in Penza concurred with similar arguments made by the investigator there and extended the police custody of the other suspects in the case until April 18. If you are in London or can get to London on January 19, join the solidarity demo at the Cable Street Mural at 2 p.m. The demonstration is supported by Anarchist Communist Group, Anarchist Federation, Brighton Antifascists, Bristol Anti-Fascists, Brazilian Women against Fascism, Feminist Fightback, London Antifascists, London Anarchist Black Cross, North London Anti-Fascists, Plan C LDN, RS21, and Labour Briefing. Please email london19jan(at)riseup.net to add your organization to the list of supporters. More information about the Cable Street Mural and its location can be found on its Facebook page. Despite what I wrote to a comrade yesterday, it turns out Amnesty International did issue a report on the Network case—just as last year was ending, meaning well over a year since the ugly, insulting mess kicked off in Penza. But you might wish Amnesty International had not bothered to write anything, especially after you read the report’s conclusion. Amnesty International is urging the Russian authorities to review the Network case and if the evidence received during such review demonstrates that the case was, indeed, fabricated, all charges against the co-accused individuals must be dropped and they must be immediately released. If there are legitimate grounds to continue their prosecution, the Russian authorities should fully respect the right to a fair trial and, amongst other things, open the trial in the Network case to members of the public. If the suspects in the sickening torture carnival and flagrant frame-up known as the Network case go to trial, there is a 99% chance that, as in the recent case of two other well-known convicted “terrorists,” Oleg Sentsov and Alexander Kolchenko, the Networkers will be tried in closed chambers by a military tribunal in a city like Rostov-on-Don, which has the added advantage of being quite far from the Networkers’ homes in Penza and Petersburg, making it extraordinarily difficult for their family and friends to make the trip so they can, at best, stand in the hallway of the courthouse or outside it and, perhaps, every once in a while catch a glimpse of their loved ones as they are shuttled back and forth between hearings by heavily armed bailiffs and guard dogs. Correspondingly, the Networkers will be found guilty on all charges and sentenced to hefty terms in prison like Kolchenko and Sentsov, who were just as obviously the victims of a blatant frame-up, meant to teach Crimeans and the world a brutal lesson about the new bosses in the Crimean Peninsula. Given these circumstances, what prevented Amnesty International from declaring the Networkers prisoners of conscience and turning their case into a full-fledged international solidarity campaign is beyond me. Thanks to Comrade Koganzon for finding AI’s dismal report. If you have not been following the Penza-Petersburg “terrorism” case and other recent cases involving frame-ups, torture, and violent intimidation by the Russian Federal Security Service (FSB) and other arms of the Russian security state, read and share recent articles the Russian Reader has posted on these subjects.